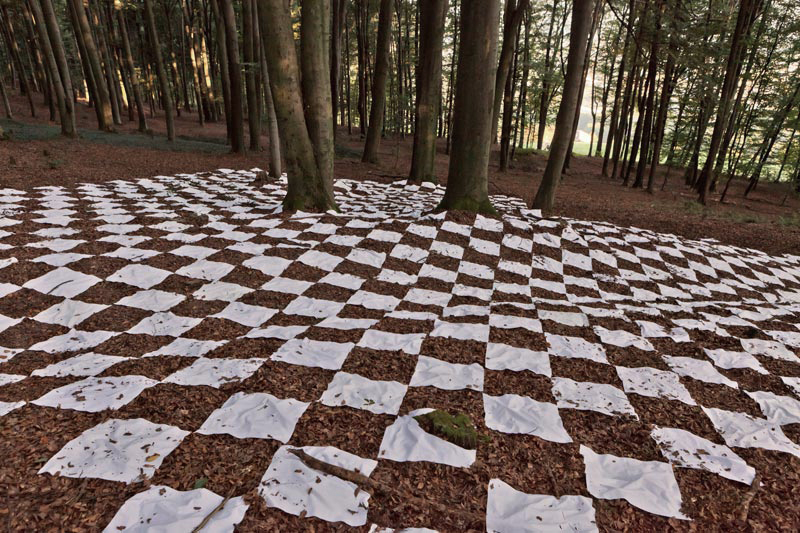 (2011; staged digital photography white fabric in forest; C-print on alu Dibond; variable in size, max. 180 x 120 cm) featured in the CreArt groupshow 2014 curated by Miguel Amado, João Laia and Rosa Leó. Das Raster, angewandt bei Entwurf und Konstruktion physischer sowie virtueller Räume, sollte sich mit der unregelmäßigen Topografie des Waldes verbinden.